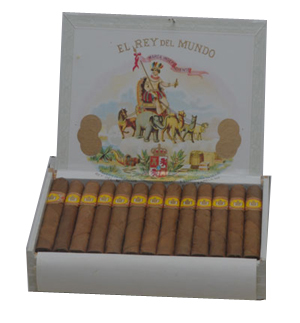 EL REY DEL MUNDO - 'KING OF THE WORLD' - WAS CREATED IN 1848. IN ABOUT 1870 THE BRAND WAS TRANSFERRED TO A SPANISH IMMIGRANT - ANTONIO ALLONES - AT ONE TIME IT WAS THE MOST EXPENSIVE BRAND IN THE WORLD. 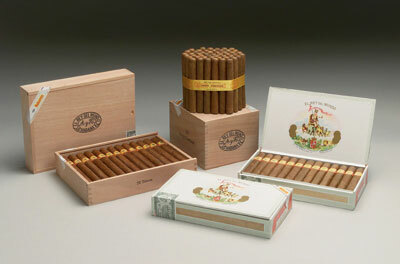 THE CIGARS ARE CHARACTERISED BY THEIR MILD SWEET TASTE AND AROMATIC FLAVOURS.